The word ‘Montserrat’ literally means a ‘sawed edge’ or something along those lines referring to the unique shape of these rock formations. 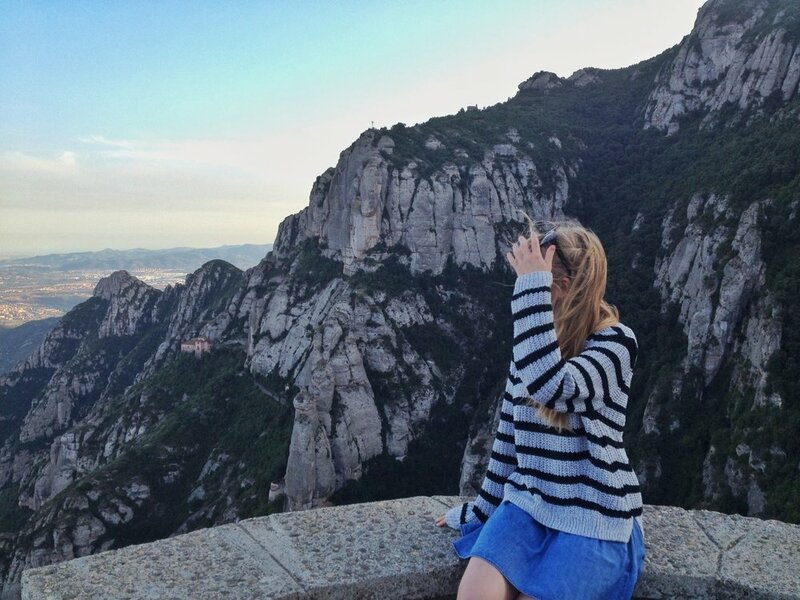 We admired the views from the mirador - viewing platform – and did set out to hike up to Sant Jeroni, which is the highest point of the mountain, peaking at 1,236 m. We were nearly half way there before we had to run for our lives as it began getting darker and consequently we started coming up with all kinds of horror movie scenarios, as you do. Even though we were not on point with our planning, it was definitely worth the trip and seeing the sun set over the Montserrat mountain range was an amazing thing to experience. 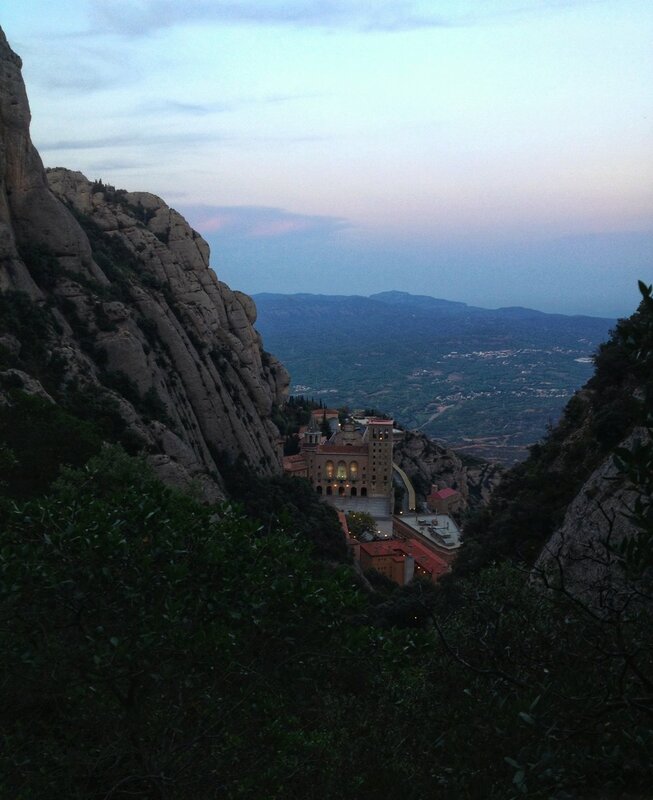 Montserrat’s distinctive beauty has attracted people from all over the world for centuries from Holy Grail hunters inspired by legends and stories surrounding the area, to pilgrims all flocking to visit the Santa Maria de Montserrat Abbey as a spiritual destination. Really though, what we found was that when you are actually looking, that Holy Grail is right in front of your eyes the whole time.